T-L’S GPS NAVIGATION CORNER SYSTEM IS THE ULTIMATE IN DESIGN SIMPLICITY. 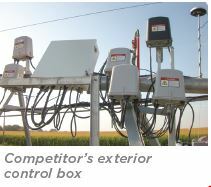 Featuring Real Time Kinematic (RTK) accuracy and Wheel Angle Sensor (WAS) for true tracking, the package includes the base station, eliminating the need for a subscription. The system tracks multiple constellations reducing the signal loss caused by tree lines and other obstacles and there is no electronic interference from power lines. 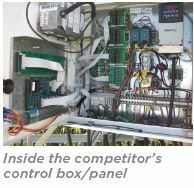 Operators can easily change the path of the system through a simple “teach” function. Users get “track on track” accuracy pass after pass fast start up time, and real-time diagnostics so they can watch it work. 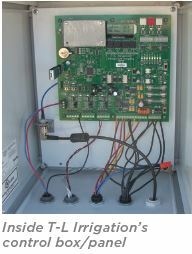 Safety is assured through low voltage, DC(24VDC), and there is no buried wire. 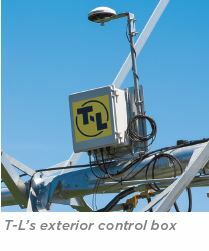 Combined with T-L’s hydrostatic design, low maintenance, reliability and unmatchd continuous movement, T-L’S GPS NAVIGATION CORNER SYSTEM represents the optimum in pivot Corner System management.